Successfully Added 24 Watt E27 LED Grow Light - 7 Red 630nm LEDs, 3 Dark Red 660nm LEDs, 2 Blue 460nm LEDs, 50000 Hour Life Span to your Shopping Cart. With 7 red, 3 dark red and 2 blue LEDs this grow light emits light on 660nm, 630nm and 460nm wave lengths, these wavelengths specifically target the (Photosynthetically Active Regions) PAR needed to bring the best results to your plants. As this LED grow light covers both blue and red light wavelengths its able to activate the different chlorophyll in plants and vegetables to boost vegetative growth as well as promote blossoming of flowing plants so you can actively help flowering plants blossom when you wish and build stronger, healthier plants all year round. The LED grow light is suitable for all standard E27 light fittings. 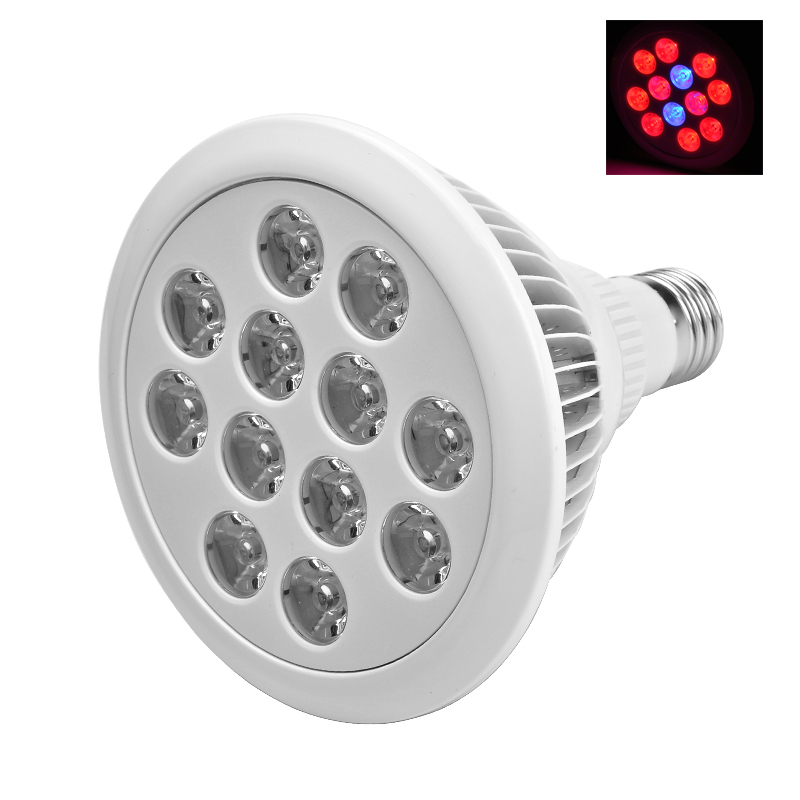 The real beauty of LED lights is that unlike other grow lights they use very little power and this particular grow light draws just 600mA of power, that not only makes it cheap to run but means it gives off very little heat, so you won't need any extra ventilation systems which can quickly make your grow room expensive to maintain. This LED grow light also benefit from a long life span of around 50,000 hours ensuring that you will enjoy years of usage and from a relatively small investment. This 24 Watt E27 LED Grow Light comes with 12 months warranty, brought to you by the leader in electronic devices as well as wholesale LED lights..